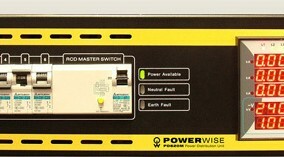 Industry standard in power distribution. Six circuits, 12 outputs, LCD display. Essential for any large sound or lighting set-up.